Forgot your iPhone passcode and iPhone is locked? iPhone has become a kind of small computer to put in your pocket and many of you may set up password to protect your personal info like what you do with computer. However, it also brings huge headache if you forgot your iOS 11/iOS 10 or iOS 9 iPhone/iPad lock screen passcode. You may be seriously looking for solutions for "my iPhone is locked". Then read on the below content. When you enter the wrong passcode 6 or more times, you will see a message on the iPhone screen saying "iPhone is disabled" and suggesting you to try it later. If you try too many times, your iPhone many display the message telling you "iPhone is locked connect to iTunes". There are many methods in the Internet that claim to help you bypass your iPhone password, but most of them don't work at all. To help you save your precious time of trying these tricks which have no sense, here we'd like to introduce the top 3 ways that always work to unlock iPhone with forgotten passcode (either for iOS 12.1/12/11/10). Open iTunes and connect iPhone to computer with a USB cable. You may get an error message saying iTunes could not connect to your iPhone because it is locked with a passcode. 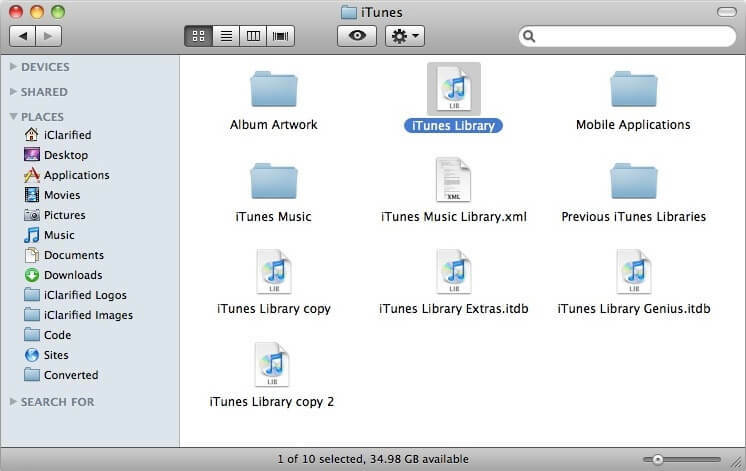 To make iTunes recognize your iOS device, you need to put your device into Recovery Mode. Here I recommend you to use Any iOS System Repair (ReiBoot), a free iPhone recovery mode tool that can put any iOS device (iPhone, iPad, iPod touch) into and out of recovery mode by one click. Open Any iOS System Repair (ReiBoot), and click "Enter Recovery Mode", wait for 10 seconds around, you'll find your iPhone has been in recovery mode, displaying a USB cable, the iTunes icon and a message saying "Connect to iTunes". iTunes should alert you that it has detected iPhone in recovery mode. Click "OK" and click "Restore" to restore your iPhone. After restoring you can set up the phone as a new iPhone and reset a new lock screen passcode. If you have synced iPhone with iTunes, "iPhone is locked forgot password" will not be your anxiety since resetting the password seems to be easier. 1. Connect iPhone to computer which has the iTunes you normally sync iPhone with. 2. Run iTunes if it doesn't open itself. If iTunes prompts you to enter the password, try another computer that you have synced with. 3. 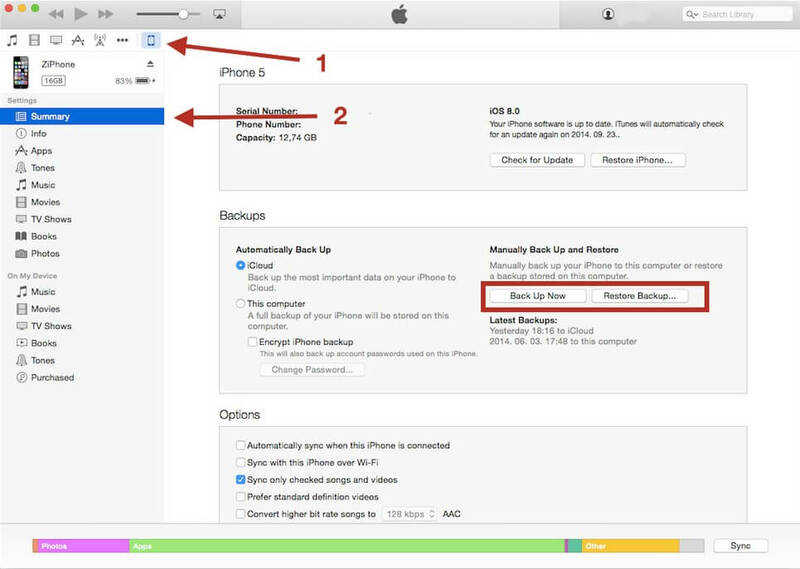 Right-click your iPhone icon in the left side of iTunes and select "Back up". 4. When the backup is complete, select "Restore". 5. After the process of restoring is finished, recover data from your most recent backup in iTunes. In fact, iPhone can erase itself after ten consecutive wrong password attempts and the setting of this function is off by default. Suppose that you forgot your iPhone password next time and iPhone is locked out, you can rely on this function. Remember to configure it first by tapping Settings > General > Passcode Lock. Using iTunes is not the preferred method to many people as it is complicated and time-consuming. Sometimes iTunes even give errors during the restoring process. If you are seeking a faster and more efficient way to unlock the locked iPhone, iPad, iPod touch, you should not miss Any iOS System Repair (ReiBoot) Pro which can reset your device by several clicks, and the whole process takes you in less than 10 minutes. Step 1. Connect your locked iPhone or iPad to computer with USB cable, and open Any iOS System Repair (ReiBoot) on computer. Step 2. Any iOS System Repair (ReiBoot) detects that your iOS device is not in working status, please click Advanced Mode >> option to continue. Step 3. The advanced system repairing will wipe all data and settings including the lock screen passcode. Make sure that you have backed up your device data including messages, contacts, photos, videos, etc. before repairing the system. Step 4. Download matching firmware package for your iOS device. Step 5. Start repairing system after firmware package is downloaded completely. Wait for the system recovery to be completed, and you can set up your iPhone as a new device, or restore it from previous backup in iTunes or iCloud. In this essay we share the most effective three methods of removing an iPhone passcode when you forgot or lost it. I highly suggest you keep this tiny free iPhone reboot tool Any iOS System Repair (ReiBoot). 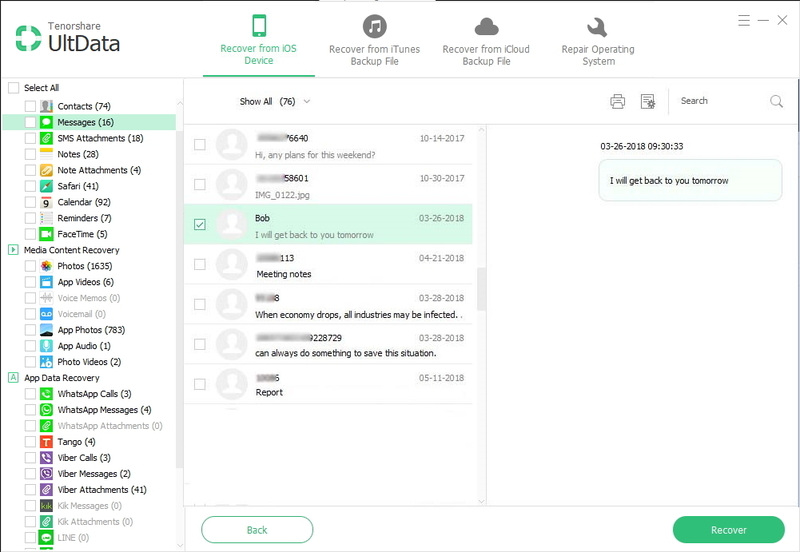 It not only offers a one click solution to enter and exit recovery mode, repair iOS system to restore an iPhone without iTunes, but also can fix various iOS stuck problems such as stuck at white apple, screen frozen, black screen after iOS 12 update without causing data loss.